What is a Dead Man's Hand? - Casino Answers! 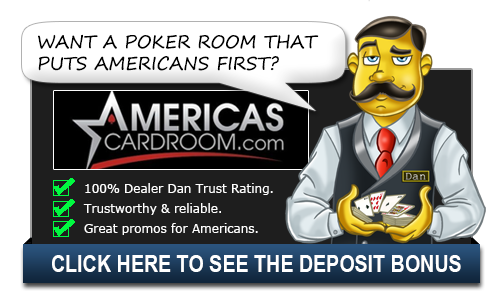 Casino Answers » Poker » Online Poker Beginner Q&A » What is a Dead Man’s Hand? What is a Dead Man’s Hand? In poker, a dead man’s hand is a two-pair poker hand, namely Aces and Eights. Legend has it that this was the poker hand (two aces, two eights, and a queen) Wild Bill Hickok was holding when he was shot dead in Deadwood, South Dakota. It has also been said to be simply aces and eights with the kicker not mattering. Wild Bil Hickok was one of the most legendary characters in the American West and his death has lived on for years in popular culture. He was a well-known gambler, enjoying poker, while also being better known as a Civil War soldier, US Marshall and all around gunman. His gun fighting is the stuff of legend as he is rumored to have killed many famous gunmen in gun fights. Although some say that he only managed to kill six or seven people. Either way, his legend has grown and the poker hand he was holding at the time of his death only add to his mystique. This has never been confirmed, but the 1926 book Wild Bill Hickok: The Prince of Pistoleers by Frank Wilstach was the first place to put this information out there and the legend has only grown since then. There is some doubt to this as the book didn’t come out until close to 50 years after his death. The cards have grown in legend as his shooting at the hands of the coward Jack McCall on August 2, 1876, in Nuttal & Mann’s Saloon at Deadwood has been immortalized in film and television. They’ve been making movies about him since 1923, a silent film, and continue to make them today as he’s been played by famous actors from Gary Cooper to Roy Rogers to Jeff Bridges. One of the most beloved portrayals and accounts of his death took place on the HBO series Deadwood where he was played by Keith Carradine. Some say that all five cards were black, others that the fifth card (the kicker) was a ten, not a queen. The cards were allegedly retrieved after the shooting by a man named Neil Christy who would later give them to his son. The cards, according to his account, were the ace of diamonds, ace of clubs; two black eights and the queen of hearts. This term is also used for a hand that is very good, but not a winner. It’s earliest mention was in a 1903 Encyclopaedia of Superstitions, Folklore, and the Occult Sciences where they referred to the dead man’s hand as Jacks and Sevens. Whether the Aces and Eights were in Wild Bill’s hand or not is unimportant now as the hand has grown into a life of it’s own. It’s been used by TNA Wrestling for the moniker of one of their top heel groups, Aces and Eights, a collection of bad guy wrestlers who acted like they were on Sons of Anarchy. It’s also been used by the Homicide division in Las Vegas, the LAPD CRASH squad and others as their insignia.